In an attempt to crackdown on modern day slavery in the car wash industry, the capitals iconic black taxis have given their backing to a new awareness campaign focused on mapping and highlighting the extent of the issue.The London Taxi Driver Association General Secretary Steve McNamara has encouraged 10,000 black taxi drivers to be vigilant to any tail tail signs of modern slavery in many of the city's pop-up car washes. A "safe car wash" app has been launched for drivers to input details of any concerns surrounding the industry. 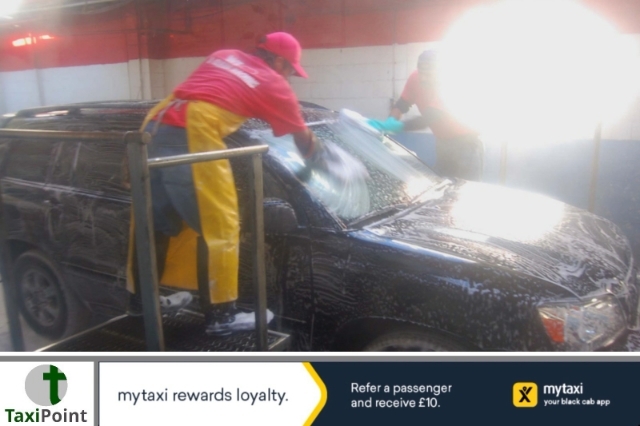 The app, launched by the Santa Marta Group, the Catholic Church's anti-slavery project, is aimed at assisting the police in cracking down on such crimes in Britain's 18,000 hand car washes. The new app, once downloaded, will guide users through a series of indicators of modern slavery. Highlighted in the guide will be things to look for while attending a hand car wash site. Things such as whether workers have suitable protective clothing and behavioural clues, such as whether they appear withdrawn. Data from the app will help the National Crime Agency and the GLAA build a more comprehensive intelligence picture of the scale of the issues that are faced within the modern day slavery industry. According to the Independent Catholic News, the app is also backed by Kevin Hyland, Independent Anti-slavery Commissioner, the National Police Chiefs Council and the Local Government Association. Steve McNamara said London taxi drivers are the eyes and ears of the city and drive the same streets multiple times a day. McNamara supports the crackdown on crimes like modern slavery in the city. Drivers can download the app for free onto their Apple or Android devices. Users can then open the app when they are at the car wash and pinpoint their exact location using GPS.